Cloud Explorer 11 is out! 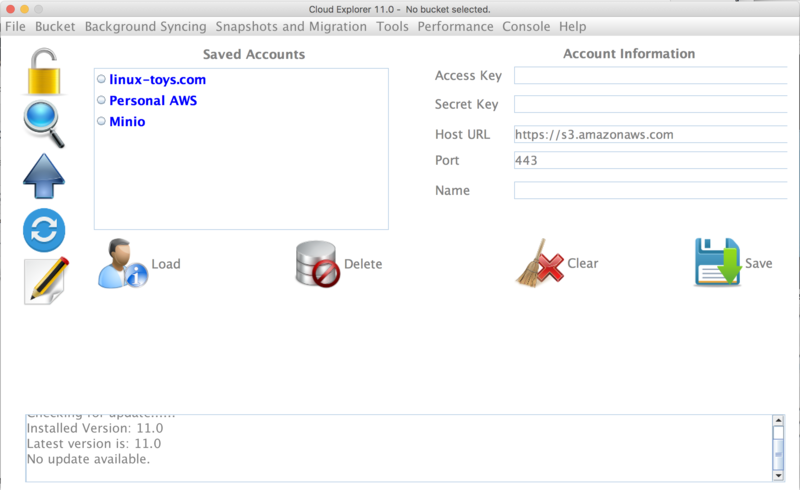 Cloud Explorer is a powerful Amazon S3 client with unique features. In case you missed it, I was able to talk about it briefly on Coder Radio. One thing that I forgot to mention is that a new release is coming! I am pleased to announce version 11 of Cloud Explorer! This release contains a lot of bug fixes and enhancements. I am always looking for feedback. If you have suggestions, please file an issue on the GitHub page. Regions are no longer supported or needed in the configuration file. Please re-create the config files for each account. CloudExlporer is now intelligent enough to detect and work with buckets in different regions. Users will now be able to create buckets in different regions and the CLI has support for bucket regions as well. v11 also included backward compatibility for ListObjectsV1 of the S3 API. Cloud Explorer includes the latest Amazon Java SDK (1.11.185) and users will now be able to add and remove their S3 accounts from the CLI. Please check out the latest Cloud Explorer release on the GitHub page.